Christine Carter is a sociologist and happiness researcher who recently spoke at the Wisdom 2.0 Conference in San Francisco. The topic of her talk was "Full Plate, Empty Life: How To Achieve More By Doing Less". Her talk explores the benefits of "single-tasking" in our fast paced multi-tasking society. As I grow older, time has become more precious to me. I'm interested in having a more grounded, satisfying life. I hope this talk inspires you to consider slowing down and savoring the task at hand. Shawn Achor is one of my favorite positive psychologists. In this interview, he talks about discovering happiness from the "inside out" with Oprah. 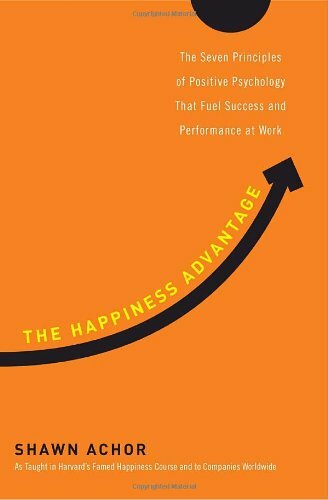 The author's formula for happiness includes: faith, family & meaningful work. I incorporate the principles of Positive Psychology into my work with clients. Existential issues are sometimes the underlying cause of depression and anxiety. I am particularly interested in the work of Martin Seligman and Sonja Lyubomirsky, two well respected researchers in the field.